Your chance to shout voice commands at Engadget is coming today, as Microsoft is rolling out its Fall Dashboard update to the Xbox 360 today, headlined by the inclusion of Internet Explorer. The update also adds a version of its popular "pinning" functionality, a variety of specialized sports apps (NBA, NHL, and Monday Night Football from ESPN), the ability to recommend and rate content, and some UI tweaks across all of the 360 Dashboard's categories. Xbox Music is also in there, as is SmartGlass support, though the latter won't have any functionality until October 26, according to Microsoft's Major Nelson. The update may not come immediately, as it's being rolled out gradually across various regions. 3 million folks get in this week, while others may not see it until a week or two from now, says Microsoft. We've got a full hands-on right here for you to read in the meantime, of course. 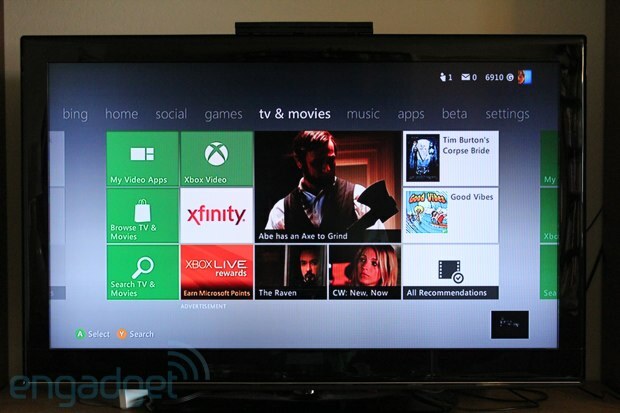 PSA: Xbox 360 Fall Dashboard update rolling out today originally appeared on Engadget on Tue, 16 Oct 2012 00:12:00 EDT. Please see our terms for use of feeds.